Database is a collection of data organized to service many applications at the same time by storing and managing data so they appear to be at one location. Data: Data are the facts or figures obtained from various sources. Information: Information is the processed data. Table: A database object comprising of related data entries is known as a table. Data present in a table is displayed in the form of rows and columns. Field: A field is a piece of information about an element which may be a person, student or employee. Record: A collection of related field is called record. Cell: A cell is an intersection of rows and columns. Data redundancy: Data redundancy means the repetition of data in a database. Relational Database: A Database Management System that stores data in the form of related tables is known as a relational database. 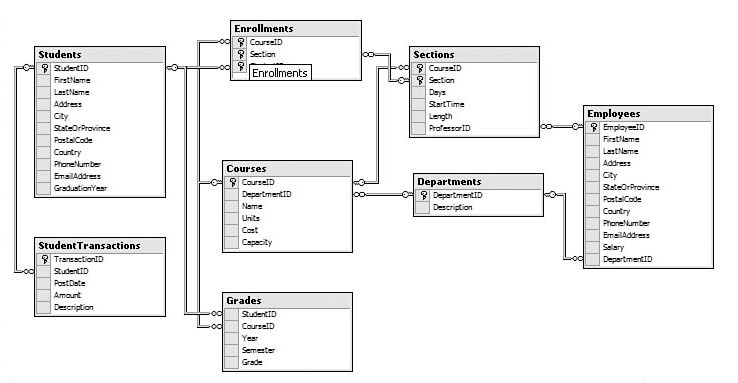 Database model: A database model is the manner in which the data collection is stored, managed and administered. A primary key is the field that uniquely identifies in a table. Each record in the table must be unique. Every table has only one primary key. There are two types of primary keys as follows. Compound (Composite key): A compound key is a key that consists of multiple columns because one column is not sufficient. Foreign key: A foreign key is the linking pin between two tables. Share data among all users. Incorporate changes easily and quickly. Simplify the use of data files. Exercise center control over standards. 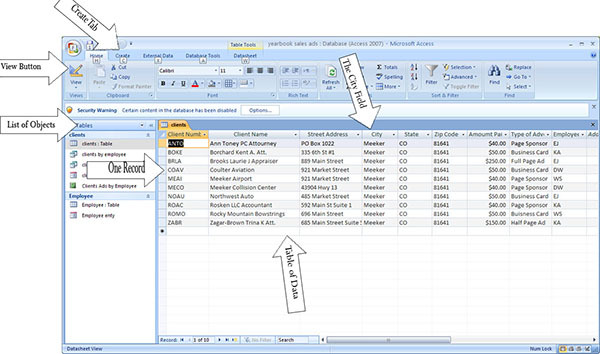 A database object comprising of related data entries is known as a table. A Database Management System that stores data in the form of related tables is known as a relational database. A database model is the manner in which the data collection is stored, managed and administered. What are the objectives of database. Write examples of data type. Define relational database management system. A relational database management system is defined as the database management system that stores data in the form of related tables. What is the function of primary key in DBMS? _____ is a link or association between several entries. ______ is an intersection of rows and columns. ______ is the field that uniquely identifies in a table. Which key is the linking pin between two tables? ______ is a piece of information about an element which may be a person, student or employee. Any Questions on 'Introduction to databases '?